Oded Fehr was born in Tel Aviv, Israel, to European parents and was educated there until the age of 18 when he joined the Israel Navy for 3 years. He was convinced that he would work for his father's marketing and communication company in Frankfurt, Germany, but lost interest six months later. He embarked on a drama course at the English Theatre in Frankfurt which led to his participation in a local production of David Mamet's "Sexual Perversitiy in Chicago". Fehr then made up his mind to become an actor, went to London, and was accepted into the Bristol Old Vic Theatre School. Oded Fehr went on to appear as Don Juan in a production of "Don Juan Comes Back From War" at the Courtyard Theatre in London. He has also appeared in "The Knock" and as Victor in "Killer Net" on British Television. Six months after his graduation he was cast as Ardeth Bay in "The Mummy". Oded is married to producer Rhonda Tollefson-Fehr since December 22, 2000. Their son Atticus was born January 4, 2003. Their 2nd child, a daughter named Finley, was born February 26, 2006. In the summer of 2010 their daughter Azelie was born. He resides with his family in Ojai, California. 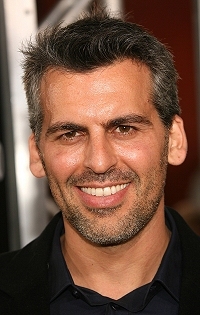 Oded Fehr has an older brother, an older sister and a younger half sister. He speaks Hebrew, English and little German. He is Jewish but not practising. His last name's origin is German. It goes back to the German word "Fähre" meaning "ferry".